Winter Break and Semester End Information. As we prepare to break for Christmas, I would like to wish all of our staff, students, families and community partners a wonderful holiday season and a happy New Year! The Caledonia office will be closed from Friday, December 18th to Sunday, January 3rd. School will re-open on Monday, January 4th. First semester classes will end on Friday, January 22nd, and provincial exams will begin on Monday, January 25th and run through Thursday, January 26th. Second semester classes will begin on Monday, February 1st. You can find a provincial exam schedule at http://www.bced.gov.bc.ca/exams/handbook/1516/2015-16_exam_schedule.pdf. Happy holidays from the staff of Caledonia Secondary School! School districts across the province are involved in calendar amendments related to the new Ministry of Education Curriculum Implementation Plan that has recently been announced. The Ministry of Education and the British Columbia Teachers’ Federation (BCTF), supported by provincial partners in education, announced a plan to support the implementation of the new curriculum. As part of this plan, school districts have been asked to add 10 hours of non-instructional time to this school year which will reduce instructional hours equivalent to two regular school days. The time will be provided for teachers to familiarize themselves with the new curriculum and to plan for its implementation in the coming year. Coast Mountains School District in collaboration with the Coast Mountain Teachers’ Federation has selected Friday, January 15, 2016 and Friday, April 29, 2016 as the two non-instructional training days. Both days were selected with a mind to minimizing the impact on families and student learning. 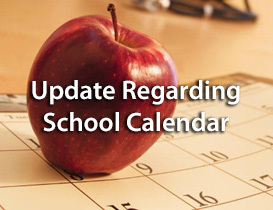 On November 25, 2015 the Board of Education approved a motion to amend the 2015-2016 School Calendar reflecting Friday, January 15, 2016 and Friday, April 29, 2016 as non-instructional days. The addition of these two non-instructional days will support Coast Mountains School District’s teachers as they learn the new Ministry of Education curriculum. For clarity, students will not attend school on January 15 and April 29, 2016. Please view the amended 2015-2016 School Calendar as provided above. In response to the rapidly changing world that students are entering, the new Ministry of Education curriculum is being redesigned to help teachers create learning environments that are both engaging and personalized for students. The redesigned curriculum focuses on core competencies, essential learning and literacy and numeracy foundations. More information for parents can be found at https://curriculum.gov.bc.ca. We are looking forward to the exciting times ahead in our classrooms as we help our students succeed in this changing world.